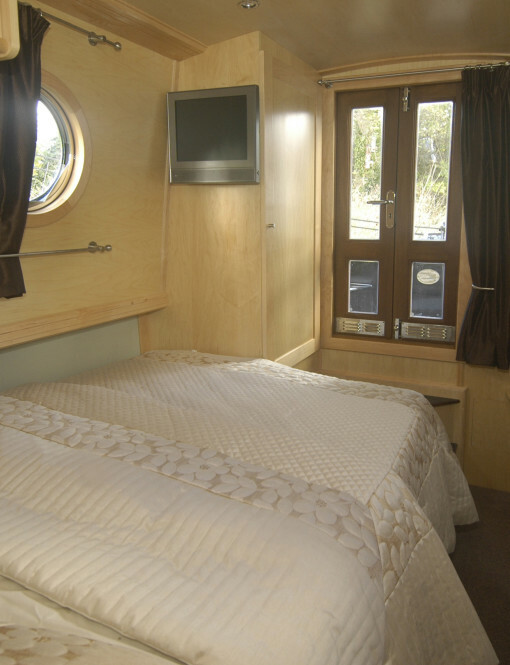 Layout – High Specification spacious two berth. Windows – Wesley Windows – Double glazed, thermally broken. Paintwork – 2 pack Sprayed Marine finish. 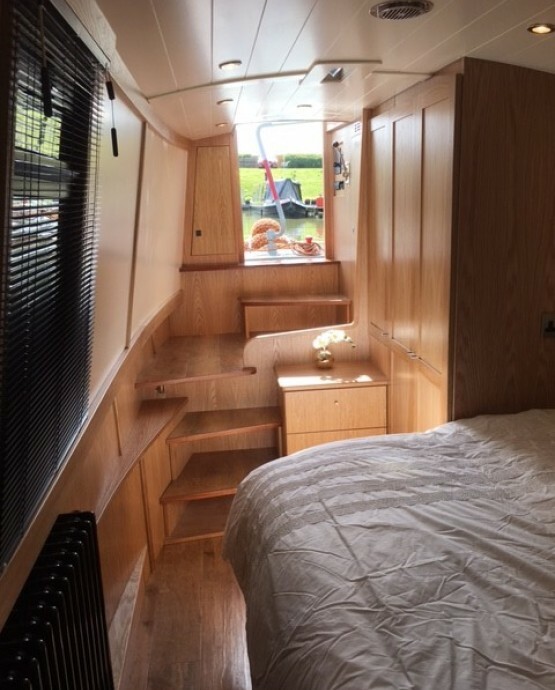 Spacious revers layout two berth narrowboat. 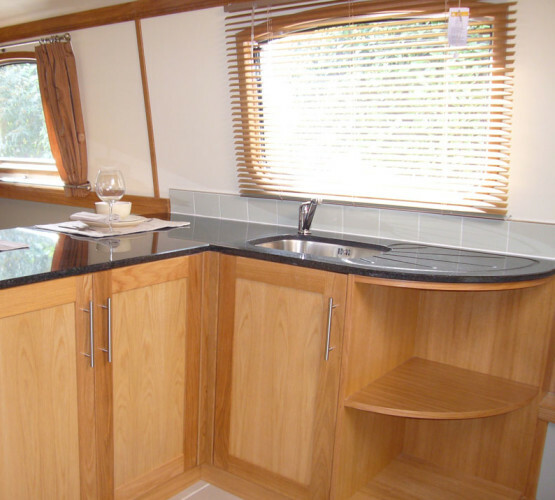 Layout – Open plan galley with washing machine, fridge and freezer. Maple unitary, solid surface worktops and stainless steel under mounted sink. Karndean ﬂooring. Leading to the carpeted open plan saloon with Dinette, wall mounted LCD television and ample space for free standing furniture. 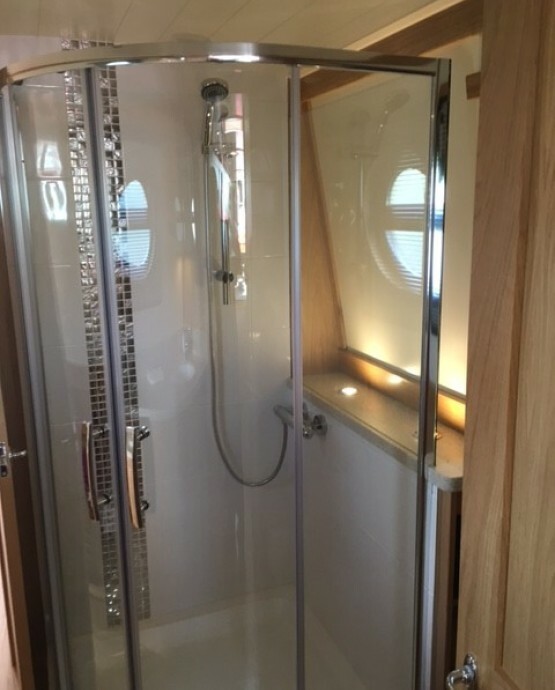 Walk through bathroom with Vetus pump out toilet system, tiled shower, wash basin housed in maple unitary and solid surface work top. Karndean flooring. Carpeted double bedroom with overhead maple lockers, wardrobe and wall mounted LCD television. Paintwork – 2 pack Sprayed ﬁnish. 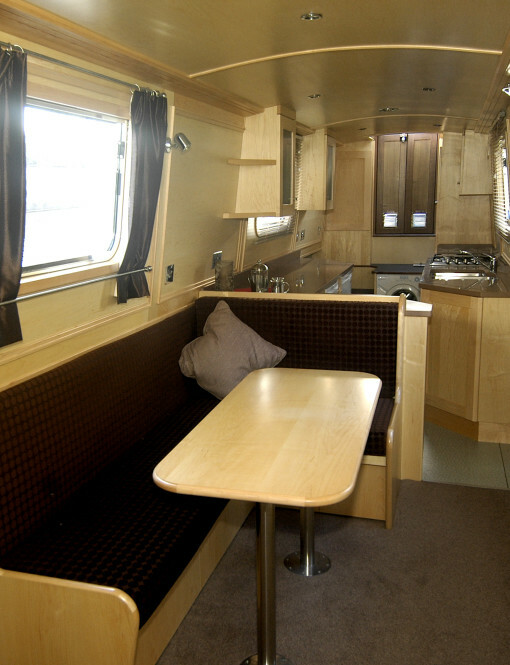 Luxurious 2 berth revers layout live aboard widebeam. 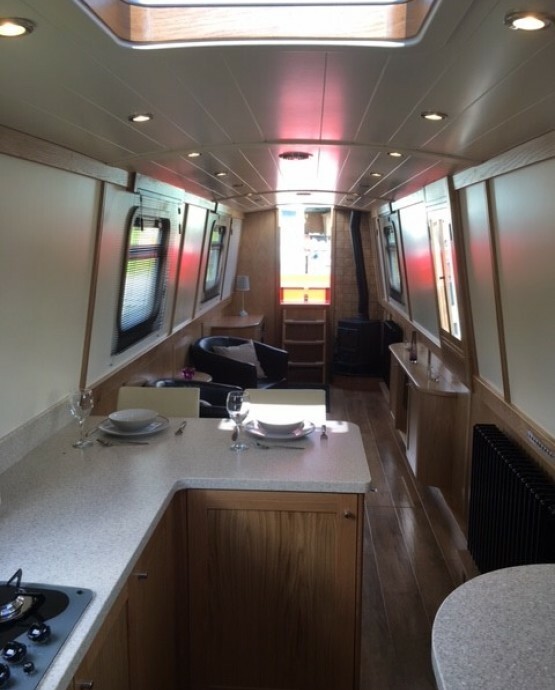 Layout – Open plan airy Galley with breakfast bar, washing machine, fridge and freezer. 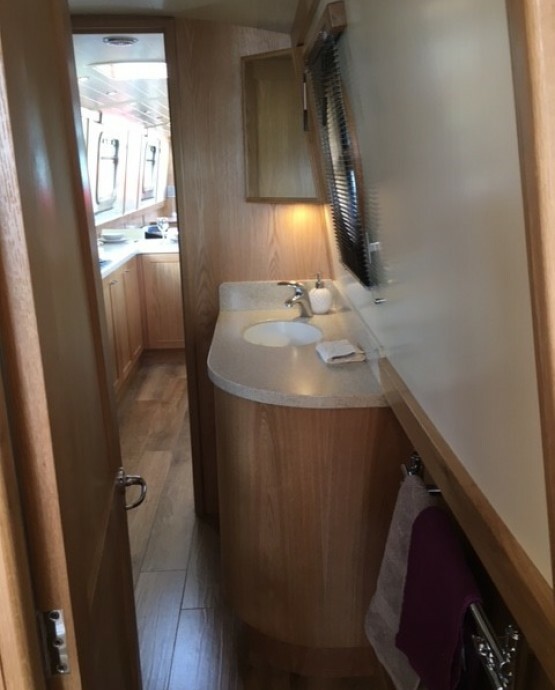 Oak unitary with granite work tops, stainless steel under mounted sink and tiled flooring. Carpeted Saloon with surround sound system, wall mounted LCD television and ample space for free standing furniture. 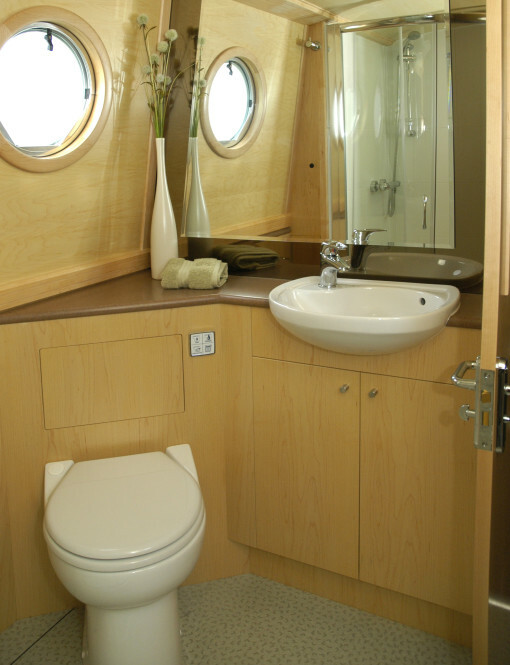 Bathroom with Vetus pump out toilet system, wash basin, tiled shower, towel rail, oak unitary and tiled flooring. Spacious carpeted double bedroom with generous oak wardrobe and draw space. Heating – Eberspacher diesel boiler, radiators. Tanks – Stainless steel water and waste. Paintwork – Sprayed ﬁnish 2pack paint system. 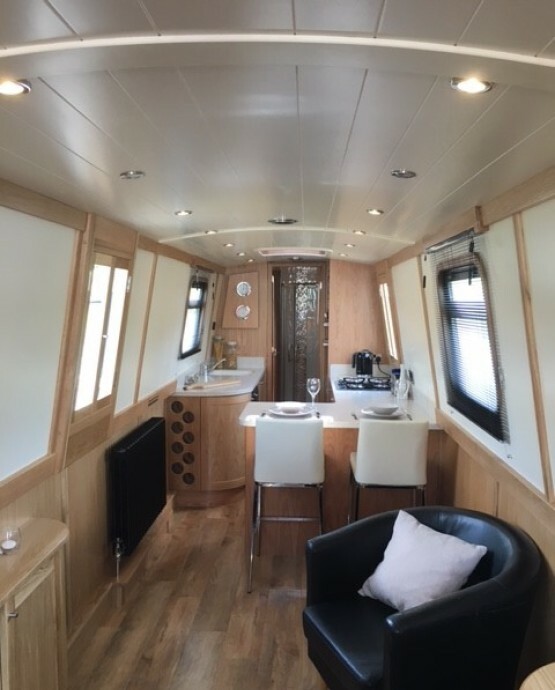 Internal ﬁnish – Oak fit out with painted cabin sides.